Senior Bre L’Estrange will compete in July in the Miss Earth United States contest after being selected as Colorado’s delegate for the pageant. But in her down time, she volunteered at St. Vincent de Paul’s Dream Center to teach children about recycling. 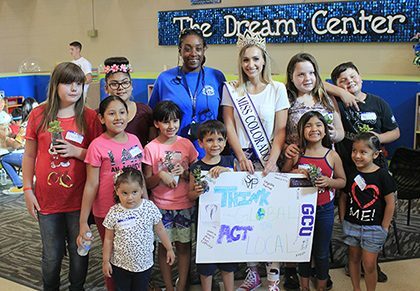 The center plays many roles for Phoenix families, especially their children, who are in need of a helping hand.